FIRST: You do not need forms to learn to fight. Boxers, Savate stylists, Kickboxers, Nak Muay, Wrestlers, Jiujitsu stylists, etc etc etc more than prove that point. Furthermore, we can state pretty quickly that one thing forms definitely do NOT do is teach us how to fight. SECOND: Some people will say “there is more to martial arts than fighting”! TRUE. Some will say there is physical education and fitness. Are forms the best (or even “good”) way to get in shape? I’d say, compare the average student in a traditional martial arts program against someone in a boxing, kickboxing or Muay Thai gym and it’s hard to go down that line of inquiry seriously. 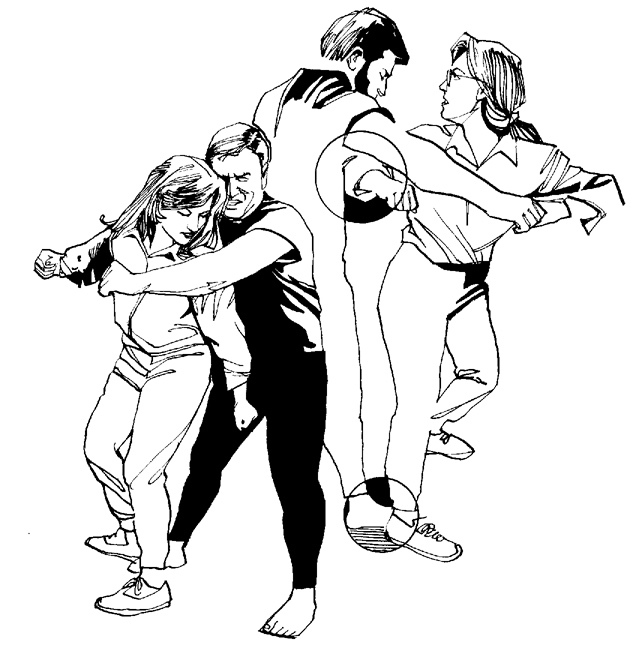 Martial arts may not be “only” about fighting, but without some awareness of the fighting, it is not “martial arts”. Today, most people think of “form” as the choreographed sets of moderate to longer length. But a quick look around and you will see that many traditions have “forms” that are just simple repetitions of basic techniques (concepts) in lines up and down the floor. This mimics (and thus probably originated in) the military training of the Imperial period. We see this in Shuai Jiao, Xing Yi Quan and even southern external styles. So our third question, if we need “forms” what sort of “forms” do we really need? As if this isn’t already quite a mess, let’s just proceed with the idea that we want to train the forms we are most familiar with and get benefit out of them. So what are we looking for? If you are just looking to do something “cool”, looking to “get some culture” and/or engaging in ANTIQUARIANISM then frankly you will be fine. BUT WHAT IF YOU WANT TO DO MARTIAL ARTS? Martial arts, particularly Chinese martial arts, do not exist in isolation. They exist in both a cultural and historical context. If you want to go beyond this blog, buy my book “Chinese martial arts: A historical outline”. But in summary, what we have today was once tied to the performance tradition of the “JiangHu” and also was filtered through various political agendas in the earaly 20th Century. How much of your “form” is nothing more than performance to get the attention of the uneducated and to draw them in for a sale? Even in methods that remained unadulterated fighting traditions, not all movements have direct combat application. Some are designed to condition and for the development of attributes meant for fighting. Finally, for those who have actually learned the combat applications of movements in traditional forms, follow along with me now…. “Or, is this a block”? “Or, is this a joint lock”? “Or, perhaps it is a throw”? Perhaps, if you have trained in a traditional method, you already know the answer to the above. The answer to the above question is “YES“. The second trend I touched upon, which I will discuss in more detail here, is a frequent reaction Chinese martial artists have when confronted with failure in fighting. There are always exceptions to the rule, and I have been fortunate to have met and trained with many of these exceptions, but in broad terms history has taught us that those in the Chinese martial arts tend to first blame external factors for their failure and then subsequently attempt to isolate themselves from outside influence. For as long as I have practiced Chinese martial arts, and for even longer as confirmed by many colleagues, Muay Thai has had a presence in the mind of those who do Chinese martial arts. We worked to condition our legs, we worked leg kicking, we worked defenses against people grabbing our neck to knee, etc. This really should not surprise people, there is a long history of interaction between Chinese martial arts and Muay Thai. 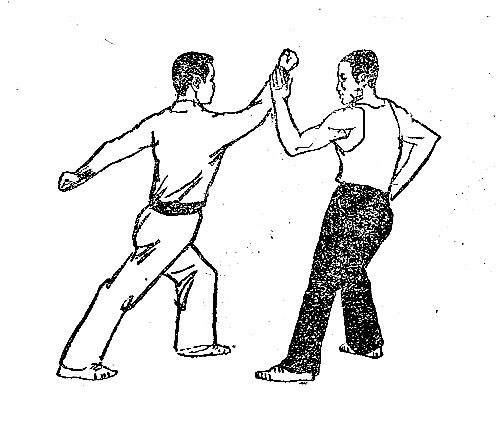 Accounts of one of the first matches between Chinese martial artists and Muay Thai fighters (Nak Muay) relate that the Chinese fighters entered the ring to demonstrate hard Qi-Gong; they broke bricks with their open hands and had students kick and punch them to show “iron body”. Unfortunately, of the five matches, the Chinese lost all five by KO in the first round. It is important to keep in mind that this was not a “format issue”. In much more recent times we have discussions (arguments) about the proper format and rules; scoring in the ring in Thailand is based upon a very definite set of criteria, NOT necessary who is the “best fighter”. Muay Thai in the ring in Thailand makes many throwing and grappling techniques, things that ARE integral to Chinese martial arts, illegal. But in this first case, none of this mattered since all five Chinese fighters were knocked out in the first round. The immediate Chinese response was to claim that Chinese martial arts are not designed to be executed in gloves (does this argument sound familiar? It should! It is alive and well today!). The Thais were unaffected by this argument, Muay Thai had evolved from bare knuckle fighting and they well understood what was really going on. Matches in which the Chinese were allowed to fight without gloves were arranged. There was no difference in the outcome; all the Chinese were defeated by knockout. As a coach who has trained fighters for more than twenty years, I tell you that fighting without analysis is pointless. And that analysis must be logical and follow a certain hierarchy; were the opponents simply more experienced? were the opponents simply better? did my fighter not train hard enough (many in the martial arts never seem to understand how important conditioning is to the outcome of a fight, “real” or in the ring)? Or, was it the techniques and training methods that were, simply put, wrong? People always get angry at me when I post things like this article, but I am NOT saying Chinese martial arts do not work! Quite the opposite! But if we do not apply logic (and science) to our training) and do not train correctly, we will not be able to effectively use our skills. Above is Tan Guancheng, “The Warrior Sage of Penang”, who was one of the first Chinese martial artists to defeat a Muay Thai fighter. Here, we see several issues we must ALWAYS keep in mind; Tan was very tough, Tan was familiar with Thai boxing methods, the format allowed Tan to use throws and he had obviously trained throwing in a very practical manner because he was able to use them consistently to his advantage. The point I am beginning to make now, as Chinese martial artists train correctly, then increasingly the “format” DOES matter. But all too easily this concept is twisted! I do NOT believe you create a format that excludes those techniques which are “not ours”, or the techniques of the “outsider”. Personally, when I train fighters, I want to prove my fighters and methods are the best, the best PERIOD. An old saying goes “it has to rain on both sides of the football”; do not exclude the tactics I use and which are important to me, and if you do not I will be able to beat you even if you use your best techniques! If you lose a fight, do not cry. Do not get angry. Ask yourself WHY you lost? And be honest, which means that 99% of the time it is YOU. This approach breeds real fighters. The other approach, just crying breeds babies…. This morning, two things appeared on my FACEBOOK news feed. The first was a truly awful event that had been billed as “True 2 form” which attempted to make people “fight” as if they were in some sort of bad Shaw brothers kung fu movie. We should NOT be too hard on the students here, the real blame lies with the instructors and the organizers of this farce. The second was a posting of proposed rules for yet another “single style only” so called fighting event. The very idea of it, that you only invite people who all do the same style and insist that they fight “in style”, makes me cringe. What happened to the days of the Lei Tai challenge, when a man issued an open challenge with almost no rules to prove he was best? 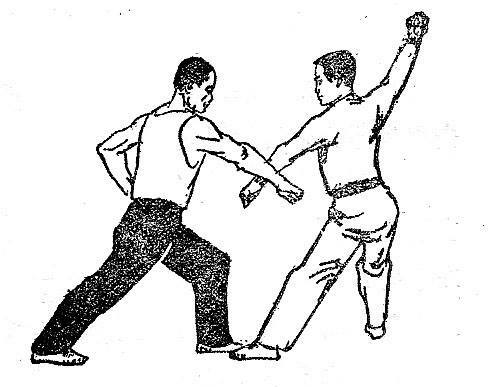 These proposed rules included gems such as “No Non-(style name) techniques (such as) high whip leg/ turning kick is allowed…elbows to the head and body and also knees to the body are permitted, however knees to the head and legs will not be scored”. As someone who has not only trained and coached fighters, but also worked as a promoter, matchmaker and adviser to athletic commissions, I cringe at the idea of letting amateurs, particularly in an event that might attract the “hobbyist”, elbow the head. Of course, you can question the logic of so many of these rules. So what if the technique is somehow “not part of the style”? In the old days, when fighting was a serious business, the man who found a new technique so he could beat all the others was a martila arts genius, not the guy who got disqualified for not using his “style”. Are you concerned about protecting your fighters, who are all in your “style”, from outsiders? This reminds me of a meeting of the AAU Chinese martial arts division I attended when they first started. They wanted all sorts of rules to keep out Karate people, kickboxers and boxers. So, being who I am, I asked them “Aren’t Chinese martial arts more advanced and better than those methods?”. Everyone immediately agreed! So then I asked, “So then why are you worried? If you are really better, just beat them and prove it”. Everyone was silent then. I should add, this was going to be just “point fighting” with almost no contact. They claimed that AAU would not let them do “full contact”. This confused me as I had done AAU full contact Taekwondo, but no one seemed to be able to answer me. Here is a thought; if you have “outsiders” come to your event and those inside your style do not do well, or even get beat very badly, you have to consider WHY? In the short term, maybe your people did not train hard enough, maybe they did not train correctly, maybe the outsiders had more experience. But if in the long run it happens over and over again, you have to face the other considerations. Chinese martial arts are supposed to be superior to primitive Karate that is intended just for children (yes, that is sarcasm). Chinese martial arts isn’t supposed to be “just kickboxing” (whatever that means). We are even supposed to have “internal kung fu” which is even more powerful than just external. So, clearly, we should always be winning. Why are so few Chinese martial arts stylists even fighting? And why do people keep trying to make venues that isolate Chinese martial arts fighters from other fighting arts? Perhaps, and give me a little moment here, but perhaps if others consistently use techniques OTHER than those you use in your “style” and are victorious with them, there is a reason? If your techniques are better, more effective, then why aren’t those outsiders using them? Maybe they are just ignorant barbarians who can’t master or even understand those advanced techniques? But then, shouldn’t you be beating those ignorant barbarians with them? Chinese martial arts can never truly escape history and politics. The term “Wu Shu” (武術) has been avoided by most traditional Chinese martial artists because of its association with the contemporary Wu Shu movement based in Mainland China. While the initial movement was based upon traditional teachings and in many ways similar to the Kuoshu (國術) program the Nationalists (KMT) had engaged in during the Republican period, the contemporary Wu Shu movement’s association with Communism was enough reason for many to avoid the term. As contemporary Wu Shu became more and more performance based, it indeed merited some differentiation. For our purposes, we will put aside these more modern issues and remember that “Wu Shu” (武術) as a term meaning “martial arts” first appeared in the early sixth century during the Liang Dynasty (502-557 CE) (Lorge p 10). It also appears later in Ming Dynasty sources. It is instructive to remember that the character “Wu” (武) means “military” and that the character “Shu” (術) can mean “skill”, “method” or “tactic”. The term “martial arts” unfortunately for many has some preconceived baggage attached to it, but discussing “military skills”, “military methods” and/or “military tactics” brings us more quickly to the reality of the matter. “Wu Shu” (武術) in China has been subject to both internal and external forces and has responded to those forces in a myriad of ways, but when we speak of origins, we must never forget that originally “martial arts” were military skills with practical application in warfare. As Peter A. Lorge so eloquently states, “these arts are the developed physical practices of armed and unarmed combat, which must be understood primarily as military skills.” (Lorge p i). The idea that Buddhist monks, Shaolin or otherwise, and Daoist priests, Wudang or otherwise, had any major role in the origins of Chinese martial arts is a popular fiction but has no basis in reality. That is not to say there were no martial arts at Shaolin or other Buddhist monasteries. Buddhist monks and Daoist priests, just like the rest of Chinese society, acquired for their own particular use existing military skills that had been developed and used on the battlefield. Martial arts were widespread throughout general society, most frequently spread by men who had been trained in the military and then returned to regular life. The “Book of Rites” dating from the Zhou dynasty (1046 BC–256 BC) refers to “Jiao Li” (角力), a form of combat wrestling. The “Han Dynasty Historical Bibliographies” indicate that by the Former Han period (206 BCE – 8 CE), “Shou Bo” (手搏) or empty hand methods differentiated from wrestling (i.e. striking) and specifically for combat as opposed to sport, had been practiced and developed to the point that training manuals had been published. “Shou Bo” is categorized as one of the four military skills under the major heading “Military Writings”. Based on the bibliographical listing; these four military skills included archery, fencing, “Shou Bo”, and an ancient game of football (“Cu Ju” 蹴鞠) for agility. That certain wrestling, kicking and striking tactics accompanied military training in weaponry should be of no surprise to anyone with even a passing knowledge of military history. However, they must be understood as ancillary to such battlefield and weapon training. The Han bibliographies describe “Shou Bo” as training “to practice hand and foot movements, facilitate the use of weapons, and organize for victory in offense or defense”. In other words, their role was as a foundation for developing weapons skills such as sword and polled weapons such as the spear and halberd. Even during the Ming Dynasty, as empty hand fighting traditions flourished, General Qi Jiguang’s “New Book on Military Efficiency” relegated empty hand training to helping conscripts become strong and confident soldiers. General Qi’s introduction stated “the fist methods do not seem to concern themselves with the arts of great warfare; nevertheless, to move the hands and feet actively and to work habitually the limbs and body constitutes the gateway to beginning study and entering the art”. The discussion of empty hand training was even removed from some editions, perhaps due to fears that their proper role would not be understood. While records differentiating specific empty hand methods may be fascinating for the modern martial artist, in the larger picture we must still understand that the traditions we have inherited originated as military training. They only later evolved into what we now understand as martial arts as they filtered into the general population. 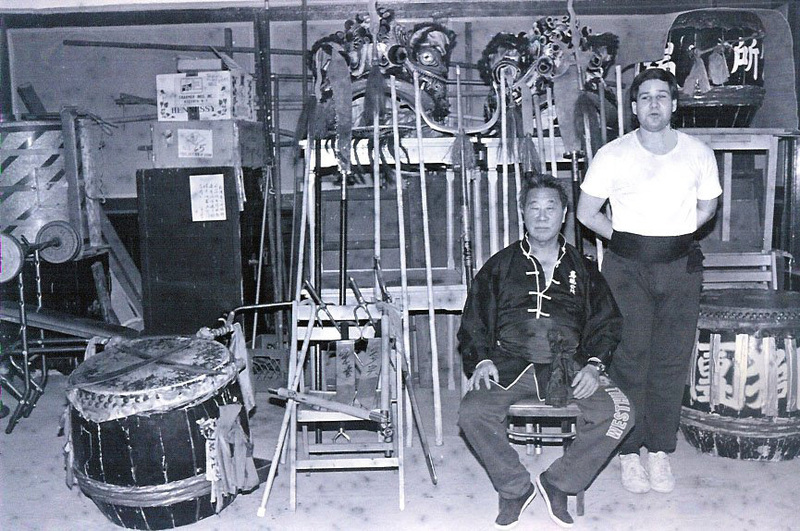 Until approximately the Ming Dynasty, when empty hand training flourished and distinct methods emerged, the history of Chinese martial arts is inseparable from Chinese military history. The Waring States Period was characterized by widespread conflict which had militarized the whole population. In the absence of professional armies, civilians were trained in military methods, experienced combat first hand, and then returned home with this experience and skills. Men experienced and skilled in violence were numerous and others could acquire from them similar training. It was a reality that could not be easily reversed, and subsequent dynasties failed to learn the lessons of the Waring States Period. The Waring States Period had introduced the sword into warfare, and under the Qin it became a favorite weapon. With the sword came “Knights-errant”, men with martial skills who were not bound to a single authority. In their best light, they were seen as men who used violence to avenge wrongs and insults. In more common practice, they were mercenaries and assassins without restraints whose skills could be bought. The second legacy of the Waring States Period was the establishment of a sub-culture based upon skill in violence. The Qin dynasty, despite its relatively short reign, introduced the ideas of centralization that characterized the Imperial period of Chinese history. The Qin introduced a professional army with career generals, and the military became a new profession with new opportunities. Men sought training in martial arts in order to make a living as a professional soldier. Other men were able to establish themselves as trainers in these skills, able to be hired by those seeking advancement. This became particularly true with the establishment of the military examination system. Although there were imperial exams as early as the Han dynasty, the examination system became the major path to career advancement only in the mid-Tang dynasty. Specialized military exams for the selection of army officers were held at the local, provincial and national levels. Military candidates were expected to be familiar with the same Confucian texts as civil examination candidates, plus military texts such as Sun Tzu. Then, of course, there were demonstrations of martial skills and of physical strength. As should be expected, horsemanship and archery were of great importance during military exams. The local exams were administered by district magistrates and required the candidates to shoot three arrows while riding a horse past a target in the shape of a person. A perfect score was three successful hits, a good score two hits, and one hit earned a pass. The candidate failed if he made no hits or fell from his horse. These aspects of the military exams remained relatively constant over time. However, during the Ming Dynasty, a critical time in the emergence and development of the empty hand systems, we know that candidates were tested on skills more familiar to modern martial artists; the spear, straight sword, saber, and unarmed combat. It is worth noting that as the candidate advanced, there was a greater importance attributed to demonstrations of physical strength. The national exams, conducted in the presence of the emperor, included bending the 120-catty bow, maneuvering the 120-catty halberd and lifting 300-catty weights (one catty equals 1.1023 pounds). Since, the Waring States Period, demonstrations of physical strength were believed to have a direct relationship with martial prowess and this belief would continue for most of Chinese martial arts history. There is a definite logic to this; stronger men have advantages in wrestling and striking, could better bear the wearing of armor, and could even shoot arrows farther. We should reconsider this when we turn our attention to the so-called “internal” schools (Nei Jia Quan) that appear in the Qing Dynasty. Let us for a moment turn our attention to the general Yue Fei (1103–1141 CE). A famous and respected historical figure, Yue Fei he has also been attributed as the founder of several martial arts including Xingyi Quan, Eagle Claw and Yue Jia Quan. There is virtually no reliable evidence linking him to these or any other empty hand martial art, but that several traditions have claimed him should be no surprise at all. Foundation myths cannot be taken as literal history, but they are instructive in what they suggest; how these martial artists viewed themselves, who they wanted to be associated with, and as a reflection of their own experiences. Yue Fei’s biography provides us with both some solid historical facts while also suggesting less directly the relationship between military training and civilian martial arts practice. The Chronicle of Yue (宋岳鄂王年譜) says that despite being literate, young Yue Fei chose the military path because there had never been any tradition of full-fledged Confucian civil service in his family history. The boy’s maternal grandfather paid for his military training by hiring Chen Guang (陳廣) to teach the eleven-year-old how to wield the Chinese spear. Then a local knight-errant named Zhou Tong (周同) was brought in to continue Yue’s military training in archery and military tactics after he had quickly mastered the spear by the age of thirteen. The classical biography also refers to his second instructor, Zhou Tong, as a “knight-errant” with all the potential baggage such a title entailed. Compare this with later martial arts traditions, which have attempted to link Zhou Tong to the fabled Shaolin temple. Lily Lau has stated that “Ngok Fei (sic) inherited this set of techniques from Chow Tong (sic) in (sic) Shaolin”. Shum Leung’s book The Secrets of Eagle Claw Kung Fu not only links Zhou Tong to Shaolin but explicitly states that Yue Fei studied in the temple; “… the Shaolin Monastery where Ngok Fei (sic) had studied with Jow Tong (sic) years before”. This is a familiar tactic in Qing dynasty martial arts circles, to claim affiliation with a respected, perhaps famous, figure and also engage in a bit of creative historical revision to clean up any possible conflicts in the quest to legitimate these emerging traditions. Chinese martial arts originated in the military, and during all time periods soldiers, former soldiers and militia constituted the vast majority of its practitioners. Martial artists identified with and wanted to be associated with the famous and respected general. Meir Shahar notes that mention of Yue Fei in the second preface to the “Sinew Changing Classic” published in 1624 “spurred a wave of allusions to the patriotic hero in later military literature”. As he reemerged in the public’s awareness, it is natural that many would claim association. Shahar continues, “By the eighteenth century, Yue Fei had been credited with the inventions of Xingyi Quan”. Competition to claim Yue Fei as part of one’s linage evolved in predictable ways. While it wasn’t possible to disprove that Yue Fei may have created Eagle Claw, it was just as easily possible to claim that it was training only for his enlisted soldiers. The so-called “internal school” could claim that Yue Fei’s officers learned his more refined art, Xingyi Quan! Say anything often enough and for many it becomes “fact”, Yang Jwing Ming has repeated in several forums that “Yue, Fei created for his troops two new styles. The first, which he created out of external, was Eagle Claw”. However, a more careful reading of the various martial arts legends suggests an even more tantalizing possibility; a common ancestor! 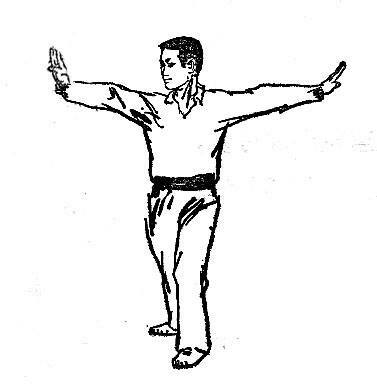 According to the Eagle Claw tradition, the original 108 Qin Na tactics (一百零八擒拿) derive almost directly from the Zhou Tong method which was called “Elephant Stepping”. Unlike the contemporary Eagle Claw, it was generally devoid of high kicks or acrobatics. As the name perhaps suggests, it was an aggressive method with firm, rooted stepping. In this context, reading what the system was supposed to have appeared like in its original form, it does not seem that far afield of the Xingyi Quan method. All of which is to say, they could have theoretically descended from the same method, thought it remains highly unlikely that method was at all linked to Yue Fei! I’ve spent a long time in the martial arts world, and I’ve already blogged a few times about aspects of it that really annoy me, but here I go again! We’re supposed to be “warriors” but the reality is, martial arts people like to gossip and talk crap. People hear gossip and take it as truth, and then try to spread it. We’d be a lot better off if a lot of these people just shut up and trained. I hate teachers that bully their students. I DO NOT mean a teacher who demonstrates a technique with realism on a student, or who works “live’ with their students with control. 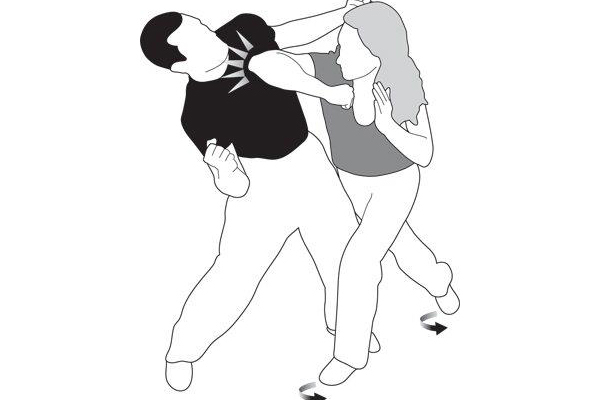 But in Chinese martial arts especially, I’ve seen far too many instances where the student is completely compliant and even “sells” the instructor’s nonsense, and in turn the instructor kicks, punches and throws the student with force. 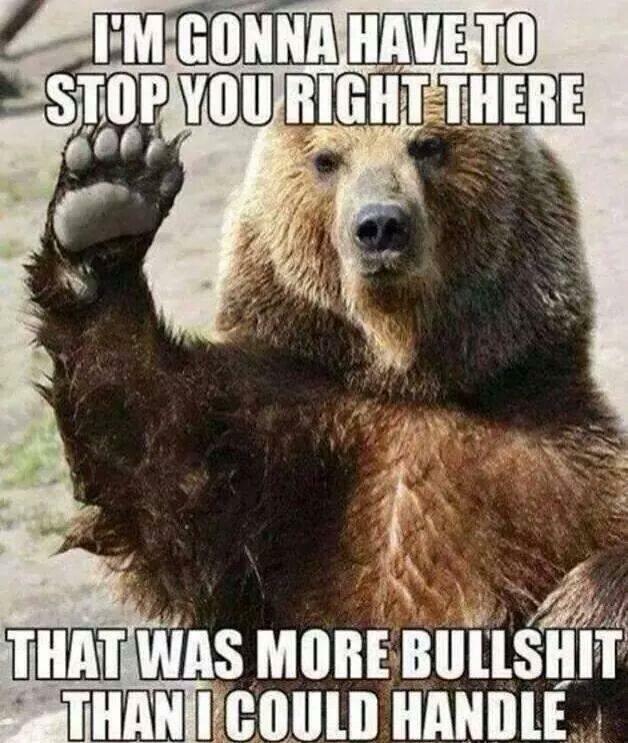 Fake “chi power” demonstrations, fake push hands, students hopping around for no reason.. Just stop it. No one really is buying your crap. It is embarrassing and a major reason why people don’t take Chinese martial arts seriously anymore. Fake “wisdom”, made up sayings, fake teachings and the fortune cookie crap associated with Chinese martial arts in general. “Dim Mak” doesn’t mean “death touch”. The Shaw Brothers’ movies WERE MOVIES, they weren’t real. Don’t make up something and call is a “common kung fu saying”. And most definitely don’t mix Japanese in with Chinese because “it’s all that oriental stuff”. Lama Pai Kung Fu and fighting….. If you’ve read this blog before, chances are pretty good you know that I consider the late Chan Tai-San my primary teacher and his Lama Pai kung-fu system the foundation of my teachings. You are probably also aware that my current teachings focus a lot on fighting, particularly combat sports. Now, some people find this strange. I’ll even admit, at first I pondered the situation. Then as I looked around me, I started to think I was most definitely not alone in this. Lama Pai descends from an older tradition known as “Lion’s Roar.” The other two descendants of Lion’s Roar, Lama Pai’s cousins if you will, are Pak Hok Pai (white crane) and Hap Ga. In retrospect, I’ve always identified these traditions with fighting. The first time I traveled to San Francisco, they had just promoted a full contact kung fu show. The Pak Hok Pai had won all their matches. Not hard to see why; take a long arm system and put gloves on, let them swing full power to their heart’s content, magic happens. One of the tradition’s most famous figures is Wong Yan-Lam, who fought 150 challengers on a platform in public. One of the tradition’s most famous concepts is Chaan, “ruthlessness”, do what needs to be done to get it done. Are you seeing a trend? In 1998, I was already training fighters and competing in sanshou events. At the national tournament, I met Hap Ga Sifu David Chin. He was the subject of the first English language work ever on the tradition. He was there with students, trying to figure out how the sanshou game worked. We talked a few minutes, here was a respected sifu but also one of the most open minded person I’ve ever met. I came to be friendly with David Rogers, a UK based Hap Ga teacher. He not only trains fighters, he cross trains in Jiu Jitsu. Another open minded, traditional based person. The more you look around, the more you see they are out there.. but I’m tempted to point out that in every example, we are talking about REAL traditional Chinese martial artists. Sadly, there are too many fakes and wannabes.. but that’s another blog I guess?